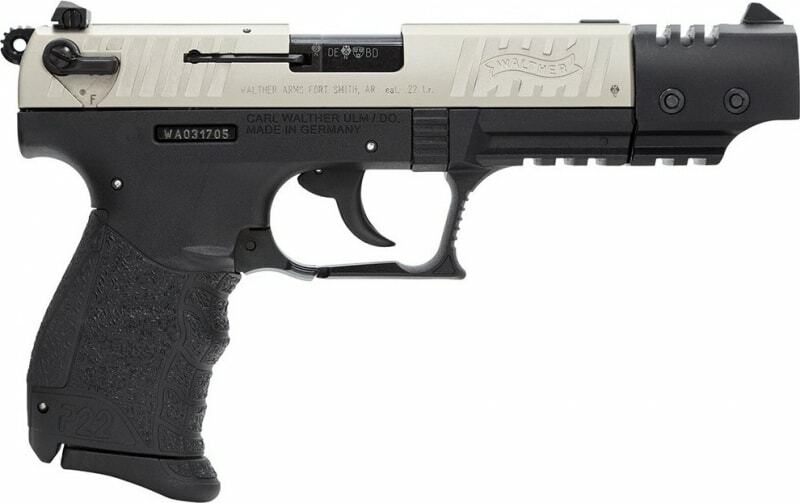 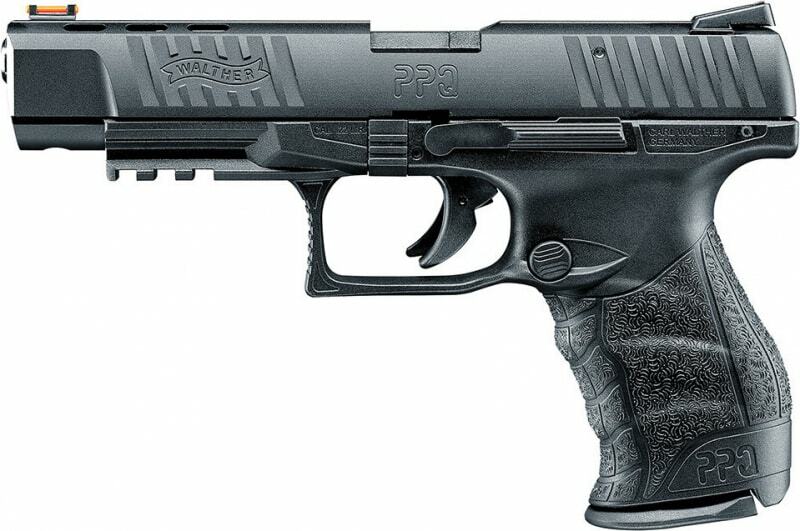 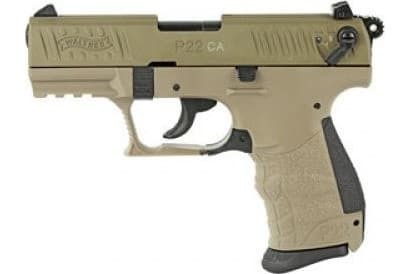 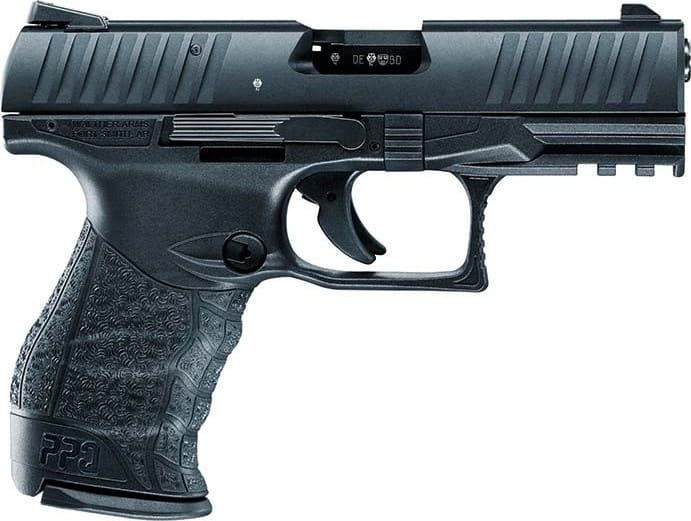 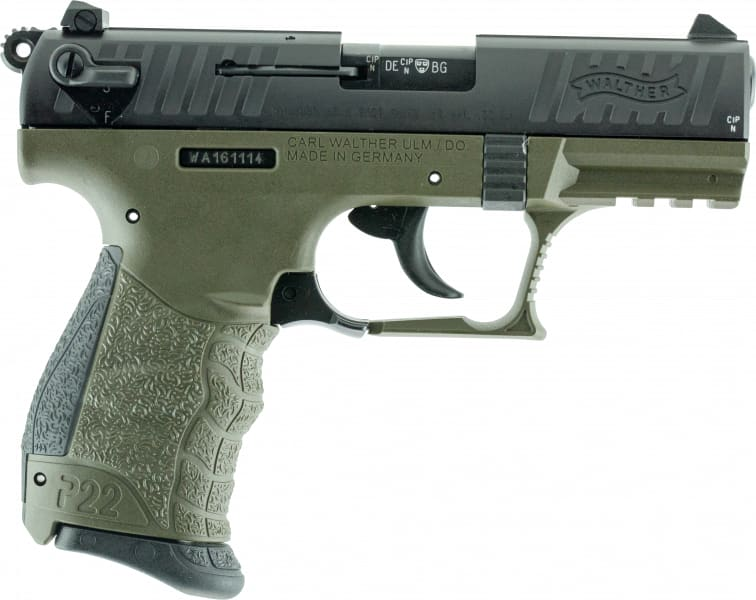 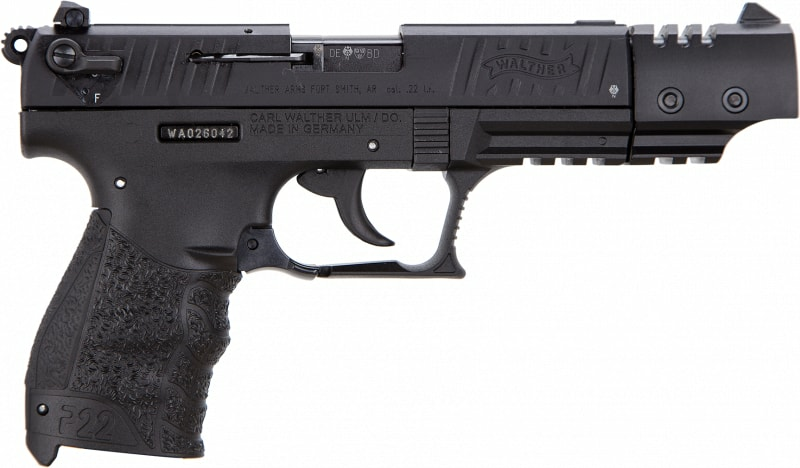 Walther 5120364: Walther's P22 is at home on the shooting range, or around the camp. 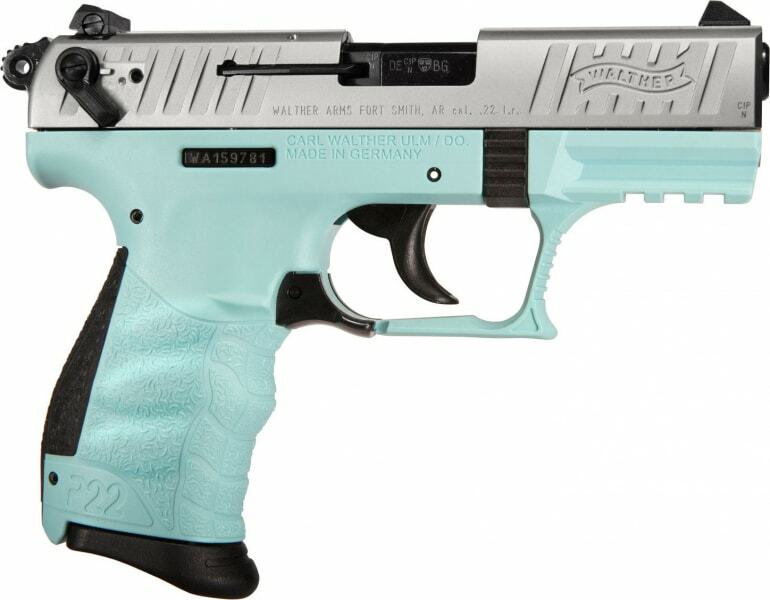 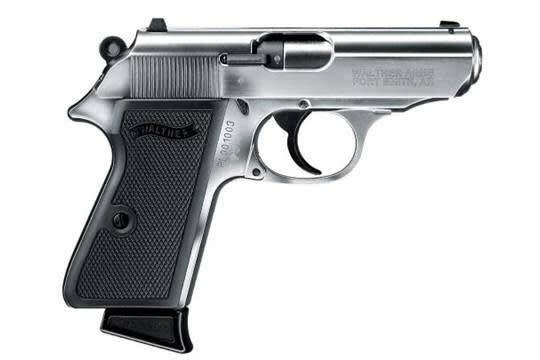 It features a contemporary styling and performance design concepts from Walther centerfire handguns, captured recoil spring, and decocker built into the safety. 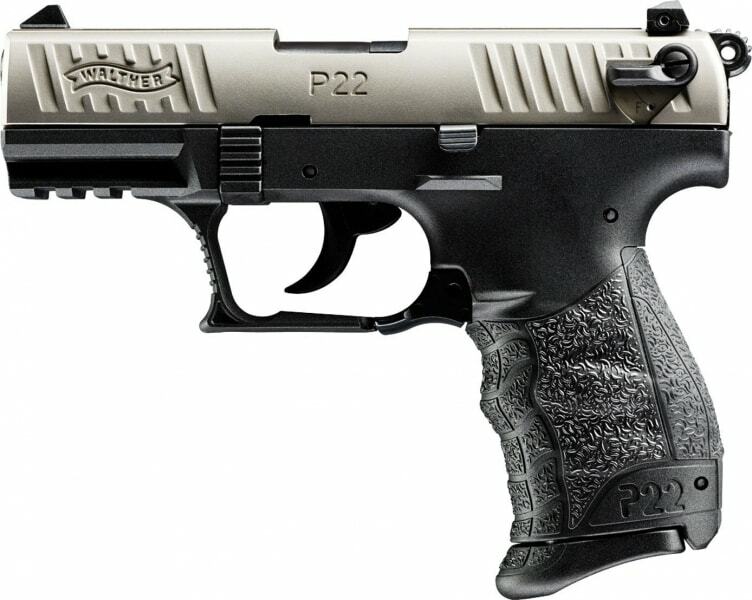 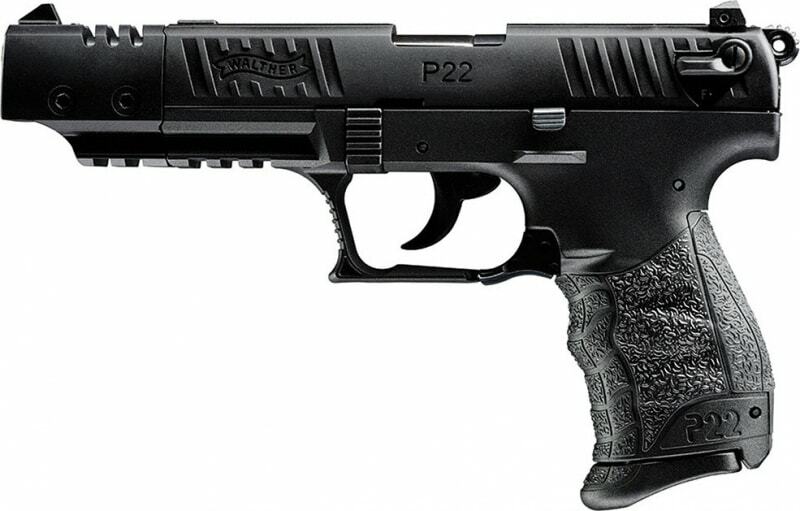 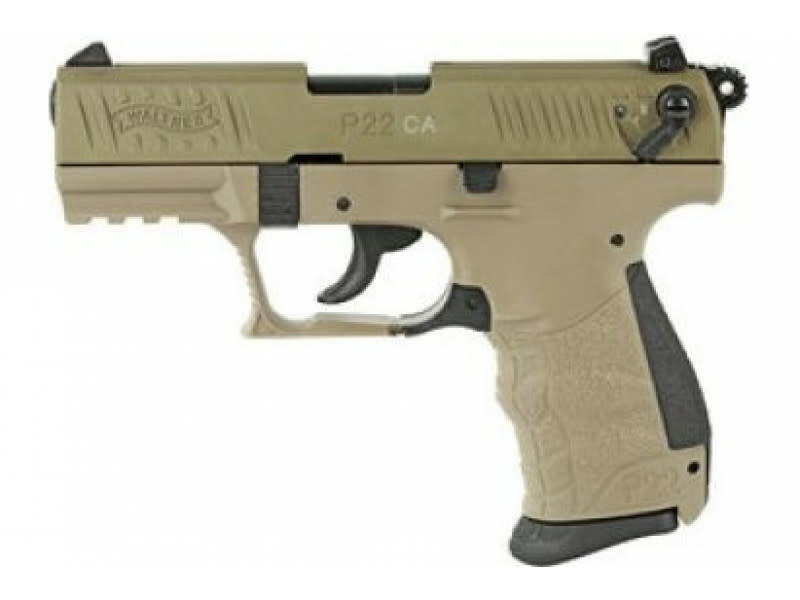 The P22 utilizes a threaded barrel, Picatinny rail, and low profile three-dot sights. 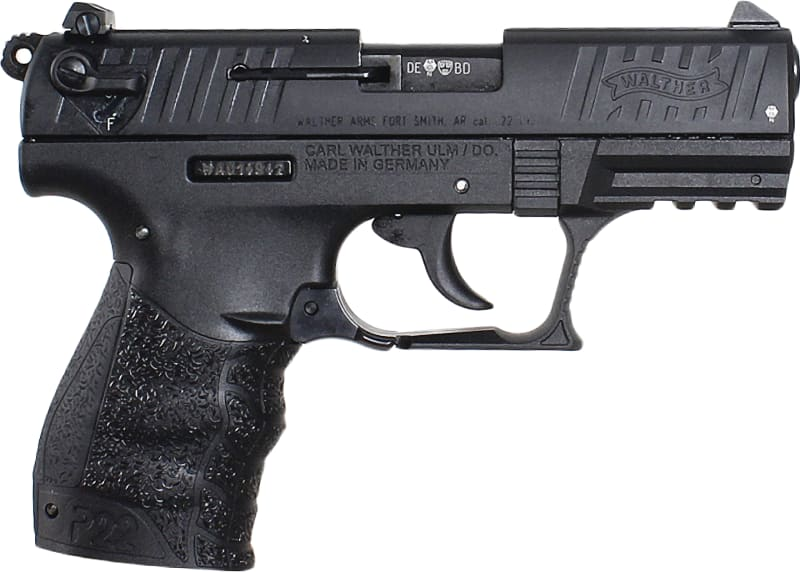 The slide features front and rear slide serrations, loaded chamber indicator, and external slide stop locks. 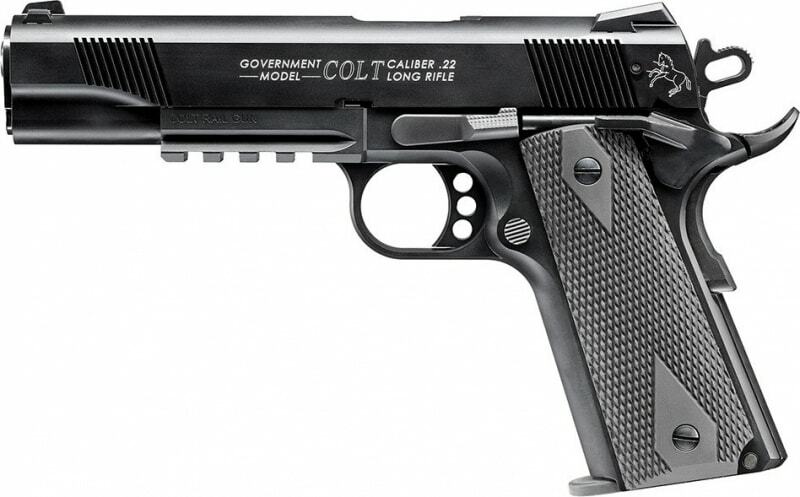 This model is California compliant.